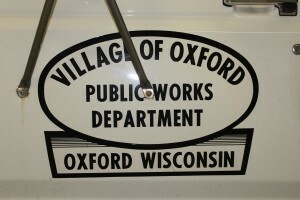 Questions regarding village sewer system, brush pickup, snow removal, etc... please leave a message for Steve @ 608-586-4100 or email: [email protected] You can also leave a message for him with the village clerk. Sanding and salting of the roadways is contracted with Marquette County Highway Department on an on-call basis. Sanding and salting is done on a priority basis with County Roads and State Highways taking priority. The Village is attended to as soon as possible. Please remove vehicles from roadways. Snow is plowed from streets first and then alleys. Plowing generally begins when snow accumulation ceases. In the event of excessive snow, plowing may occur multiple times throughout the snow event. Snow hauling of piles will usually occur the following day. The Village will start chipping brush curbside the last week of each month April through October. NO small pile of twigs and debris will be picked up.